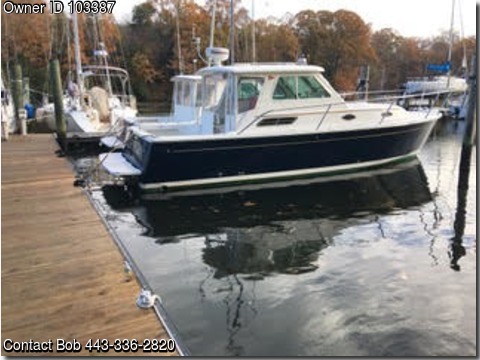 Please call owner Bob at 443-336-2820. Boat Location: Annapolis, Maryland. 2005 Single owner Engine has just completed the 1000 hour maintenance with 1019 hours . Added Stainless Steel mixing exhaust elbow new,Westerbeke Generator,4 KW with 127 hours. On board fuel polishing system, all raw water intakes have a quick release plug for flushing, antifreeze, which also can serve as additional bilge pumps. On deck anchor wash down. Heat/Air pump, All the bells and whistles Plus all options that the manufacturer offered. Raymarine C120 with Radar overlay, New DSM300 CP470 for 2017 Too many to pieces of equipment to list.